UNIQUE is what we are ! To the LPSO, skiffle means "anything goes", as long as it is musical, entertaining and fun. incorporating a wealth of instruments, costume changes and numerous props. Mike grew up in a showbusiness family, his father was George Martin (the casual comedian). He trained as a film director before deciding to become a performer himself, appearing in many TV shows and films throughout the 70s and 80s, including the BBCs Kenny Everett Show, Eastenders, etc. In 1986 he formed old time/cajun band Peace On The Panhandle, who became a big name on the London alternative country scene (A rip roarin cajun stomping hell of a country time. Phew! wrote City Limits in 1987). Through the 90s, Mike often played with Martyn Oram as a duo specialising in American country roots music. A truly remarkable performance of pure talent (British Country Music Roots Oct 91). Refreshingly different (The Stage 28/3/91). He performed solo on Carltons Disney Club, and appeared on SKY TV with Martyn (Nice looking fellas said Lindsey De Paul !!). He is also a writer for The Stage and other magazines; his first book Noddies was published in 1997, followed by "From Crockett to Custer" in 2004 and "Be Lucky", the story of his father, in 2012 (Roy Hudd says, "Diligently researched... Mike has woven a beautiful, affectionate and truthful picture of a talented enigma"). Martyn was a founder member of Waterfall, with Keith Donnelly and Gilly Darbey, favourites of the folk scene from 1977-82. They appeared on TV several times, including a half hour In Concert special for BBC 1, Radios 1 and 2, Hollands Hilversum 3, released 3 LPs and toured throughout Europe and in Central America. Through the 80s, Martyn recorded two solo albums of his own songs and continued performing worldwide. (Without doubt a thoughtful and talented songwriter who deserves interest Rock n Reel Issue 11). He also played several small roles on TV, with credits including the BBCs cult play Another Flip For Dominick, The Benny Hill Show and Lyttons Diary. In the 90s, in addition to playing with Mike, he recorded 3 CDs and toured with German singer/songwriter Walter F. Diet. Comparing them to Lindisfarne, Rock n Reel (Spring 2000) said theres an exuberance and real sense of fun that seems to run throughout the album - punchy, confident and unpretentious folk-flavoured rock. 2003 saw a 25 year reunion tour with Keith Donnelly as Waterfall, and a new solo CD "The Bridge Of Broken Dreams" was released in 2006. 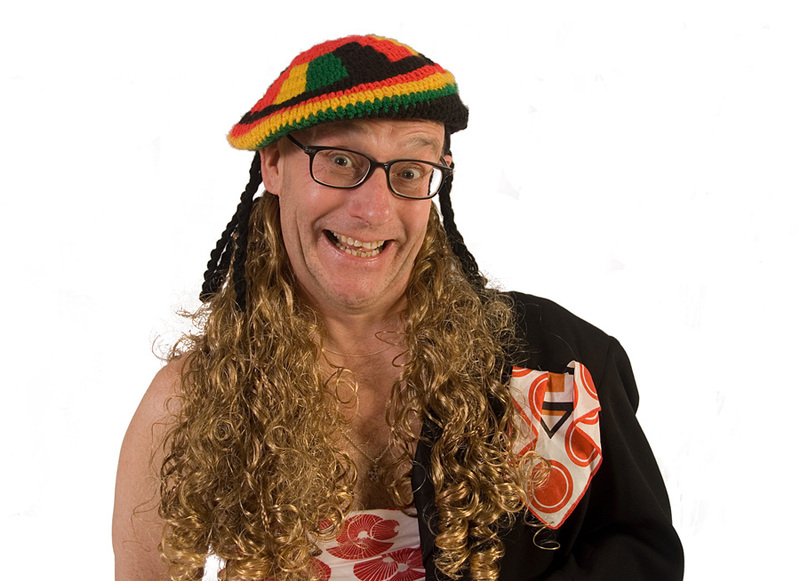 (vocals, washboard, suitcases, percussion, trumpet, saw, harmonica, accordion, dog, chicken, elephant) Captain Cabbage began his career as a singer/guitarist in rock bands in the 70s and 80s, releasing several singles. He also appeared in small roles on TV and Film, for example as a dead rock star on "Alas Smith & Jones" and as a genetically modified monster in "Blake's Seven". He met Martyn on the set of "Auf Wiedersehen Pet" and in 85-86, they toured as Thicko & Rowntree (Pillocks! Comedy singing duo had university audience in stitches page 3 headline, The Sun, 28/9/85). 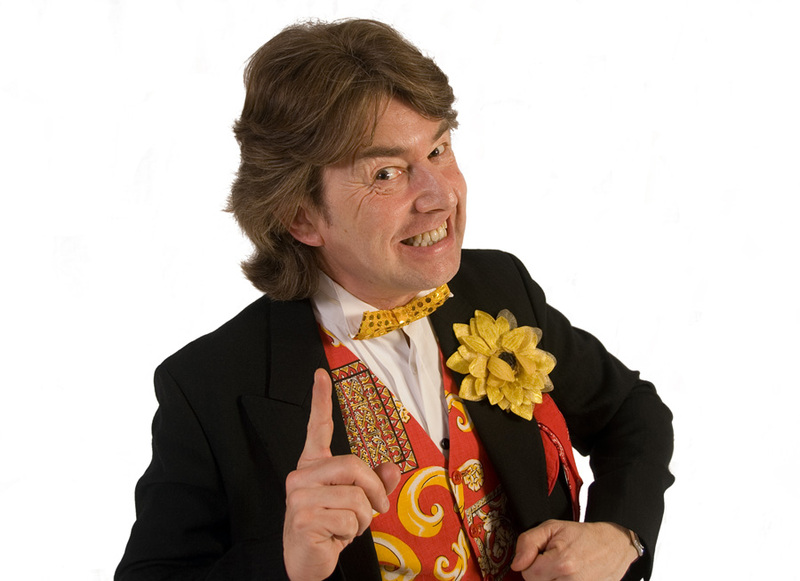 He has written several plays, comics, letters to newspapers, and, when not doing his washing, delights in puzzling young children with his one-man magic and comedy show. 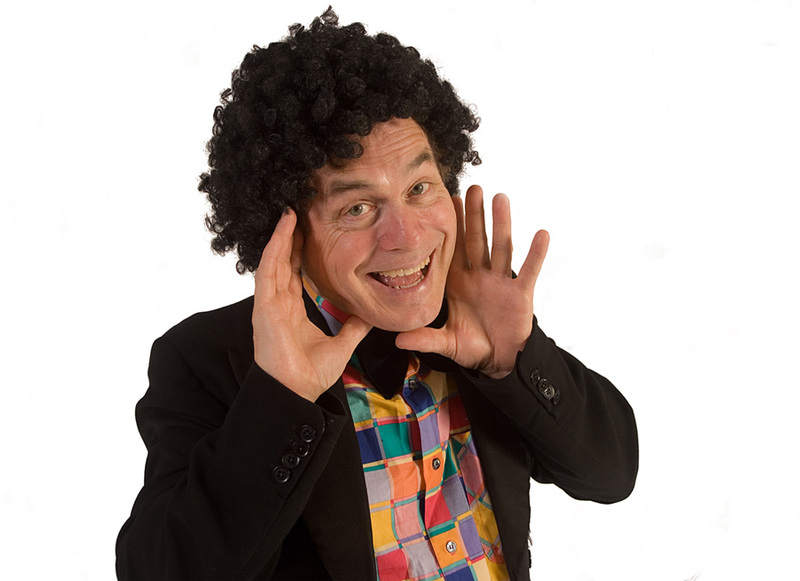 Bassist with '60's pop sensation Fortes Mentum, and founder member of the legendary musical/comedy act NUTS & BOLTS. 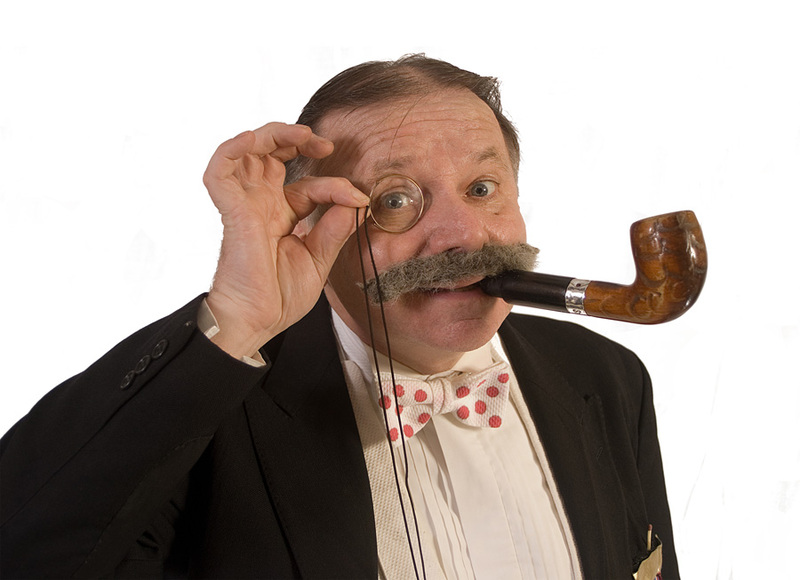 Having toured the world and played such prestigious engagements as the QE2, Circus Roncalli (Germany), Barnums all over the USA and numerous television performances (eg "Little & Large Show", "Good Old Days"), Ronald has now moved into a new phase of his illustrious showbusiness career to share his awesome experience with a new generation of nutters! 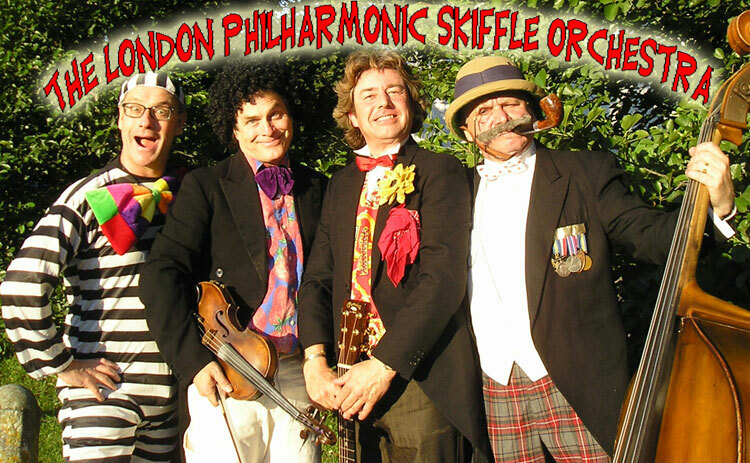 THE LONDON PHILHARMONIC SKIFFLE ORCHESTRA was formed in 2000 - the rest will be history !